Newspapers' monopoly on the classified ad business is under attack. Historically, classified ads have been the most lucrative segment of the business. They accounted for about 40% of the average newspaper's advertising revenue, according to Mort Goldstrom, Vice President of advertising for the Newspaper Association of America (NAA). Where are the classifieds going? Craigslist, Ebay, Monster.com, realestate.com, cars.com and other online listing services have broken newspapers' hold on the classified ad market. Free or low-cost online ads sell just about everything and reach a massive audience via the Web. Craigslist posts about five million new ads per month but only charges for job listings in New York, San Francisco, and Los Angeles. It operates in more than 100 cities in the US and 30 countries worldwide. "Craigslist has caused the classified industry to take a very close look at what it is doing, how it is doing it, and to reconsider its basic business model," said John Zappe, an associate editor for Classified Intelligence. "Why would a client of a newspaper X pay $25, $35, or $150 for an ad when they can get it free from Craigslist? The answer is obvious. They wouldn't." How are newspapers trying to recapture classified revenue? If you can't beat 'em, join 'em. Online recruiting site Careerbuilder.com was jointly purchased by Gannett Co. Inc., Knight Ridder Inc., and Tribune Co. in 2000. The job placement and recruiting site is now linked to 130 US papers. Cars.com was purchased through a cooperative venture of six newspaper companies: Belo, Gannett, Knight Ridder, McClatchey, Tribune, and the Washington Post Co. In May 2005, Knight Ridder made all self-placed, private party, online-only merchandise ads free in 22 of its 29 newspapers. The San Diego Union-Tribune started offering free three-line ads to private sellers of cars and other merchandise for less than $5,000. The San Francisco Chronicle is giving extended listings to unsuccessful sellers, while the Miami Herald and San Jose Mercury News lets people buy online-only ads. Alternative newsweekly publisher New Times last year launched BackPage, the Craigslist copycat site. Although listings are free, BackPage offers additional paid services. The Weekly Dig, Boston's alternative newspaper, charges advertisers 50 cents a week to have their ad appear more prominently on BackPage and offers advertisers the upsell opportunity of having their ad in print for an extra $15. "This allows us to capture some of those dollars instead of them going to Craig or elsewhere." Jeff Lawrence, founder and president of the Dig, said, "We don't have to scream and cry and say, 'Woe is me, Craigslist is taking my business.'" Enter a new player: Google. Google confirmed that it is testing the classifieds waters with Google Base. This new service allows Internet users to post information that Google will host and make searchable online. Based on relevance, the posting may even be included in the main Google search index. Peter Zollman, founding principle of consulting firm Classified Intelligence, said that although newspapers remain the leading classified force in most local markets, they are going to have to work to keep ahead. "I don't think they'll go out of business, but the business is being transformed very fast," he said. 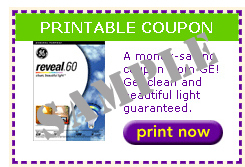 Introduce print-it-yourself coupons and promote this feature about your online edition. Who doesn't like to save money? Include ad circulars, like the ones that are in the Sunday and holiday issues, in the online edition. It saves the cost of printing. Sell sponsorships for community calendars and other "public interest" sections. A well-organized, database-driven calendar is relatively easy to produce. Offer free local classifieds to individuals and small businesses. According to Steve Outing from The Poynter Institute, the best way to compete with online classifieds is to, "Turn newspaper classifieds into an active and interactive community, instead of a dull listing." A locally focused, interactive community is better able to go up against Craigslist. Gannett, Kight Ridder, and Tribune Company are players in an online equivalent of the newspaper circular called ShopLocal. Verified recently sent a survey to clients with Target (free rack/bulk) distribution. As an essential part of the audit process, Field Verification provides another level of verification to aid in determining the accuracy and effectiveness of a publication's distribution. Combined with audit reports, Field Verification provides advertisers and publishers with solid proof of performance. The study found that Verified's clients place a high value on Field Verification and use the survey results to successfully manage their distribution and increase their bottom line. 53% reported that Field Verification Surveys were of the highest value for their publication. 57% reported that four or more people in their organization read or look through surveys. The publisher, circulation manager, and sales staff all read or use surveys. Clients reported that they used survey results in media kits and sales presentations. Clients used surveys to monitor distribution by discussing the results with staff, distribution contractors, individual drivers, and circulation managers. Clients received positive feedback or discovered problems with their distribution from surveys. 55% of our clients reported that the reporting of net distribution vs. gross distribution was very valuable for their publication. With publishers, advertisers, and media buyers under increased pressure to show that every dollar spent delivers results, Field Verification is another important measure of accountability. John Lowman, Director of Sales for Verified, will be attending the AABP 2006 Winter Conference. John would be happy to answer any of your questions and talk about the valuable services Verified provides. Carrier distribution is defined as single-copy delivery to individual homes or businesses by an entity other than the USPS or Canada Post. Carrier distribution can either be free or paid. Source documentation verifying carrier delivery should include summary reports for each issue showing total number of copies delivered by carrier / route / district with detail for paid vs. free and non-qualified copies. Detail records should include route lists with the address of each delivery location and / or maps identifying all addresses that receive the publication. For in-house carrier distribution systems, payment for delivery must be established by payroll worksheets or settlement bills showing total deliveries for each pay period, total charges and credits, rates of pay, net transactions, etc., as well as canceled payment checks, bank statements, or other authoritative accounting department reports. Payment to delivery contractors must be documented by original invoices and canceled checks or other proof of payment. Invoices should indicate the total number of copies distributed, including overruns if these copies are distributed. A subscriber list including subscriber name, address, route name, amount paid, date paid, and expiration dateas well as proof of receipt and deposit of subscriber paymentis required for paid carrier circulation. Accurate carrier distribution records are the key to cost-effective distribution and good reporting on the QPD. If you have questions, please contact Verified at 415-461-6006. Verified Audit Circulation (VAC) has expanded its Associate Membership to include qualified advertisers, media buyers, and publishing associations with no membership fee. Associate Membership provides online access to Audit Reports, Publisher's Statements, and raw circulation data from Verified's Website. To become an Associate Member, candidates must submit an Associate Membership Qualification Form, available from Verified's Website. Members will be able to view and download recent and historical reports and data from Verified's online database. Searches may be conducted based on individual publication, publishing company, city, state, type of publication (arts and entertainment, parenting, ethnic, etc. ), or ZIP/Postal Code. "Making up-to-date circulation data easily accessible benefits both advertisers and publishers," according to Tim Prouty, Verified's CEO. "Expanding our Associate Member program is just one of many ways we are responding to the changes in our industry today." Verified Audit Circulation provides internationally recognized, independent circulation auditing, field verification, and custom research. Verified's audits provide solid assurance for both media owners and media buyers. Audit reports offer consistently comparable data upon which advertisers can make effective buying decisions. � 2005 Verified Audit Circulation.